Satoshi Tomiie is one the most successful Japanese electronic music producers and DJs. He has written music for soundtracks, including well known Animatrix. Satoshi Tomiie was lucky to have a classical music education and later became involved with various bands throughout high school. An interest in hip hop music and DJ'ing came later and after some appearances was eventually asked by a Japanese cosmetics company to collaborate by creating a track for a Frankie Knuckles show. The veteran recognized Tomiie's potential, and the collaboration result was "Tears" that became a techno classic. Given the opportunity, the rising star DJ moved to New York. He joined the Def Mix crew and became recognized as one of the world's top DJs. Satoshi Tomiie often tours the biggest dance music festivals and established international clubs. In 2000 he created his first CD titled "Full Lick". It was a great success worldwide and especially in England. Tomiie has a series of remixes and music productions, and has released several DJ mix compilation albums. 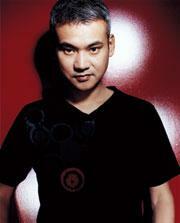 Satoshi Tomiie is the owner of house music record label SAW.